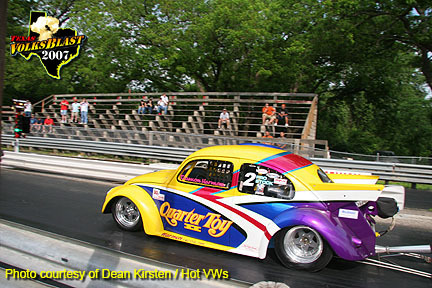 Racing fans in Temple, TX were treated to a double dose of Quarter toy excitement as the Harmon Racing Team fielded two cars for the 2007 Volksblast. Quarter Toy II was driven by Damon Harmon and Quarter Toy III was driven by Tay Woykowski. In an impressive display of might, Damon took top qualifying honors with 6.18 @ 109.86 mph, followed by Tay in the number two qualifying spot with 6.29 @ 109.42 mph. QT3 fell victim to a bad light during eliminations, but QT2 stayed in the fray to the very end taking home top honors for the day. 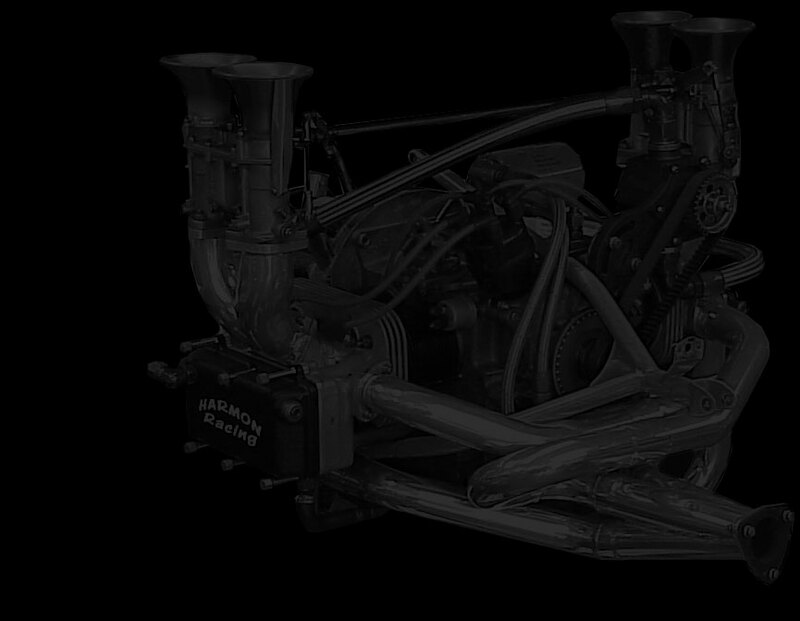 An engine tear down was ordered for QT2 after the win, which proved the engine was legal, and Damon emerged the TXPRA points leader.